Space heaters keep you warm and cozy when the weather outside is anything but. 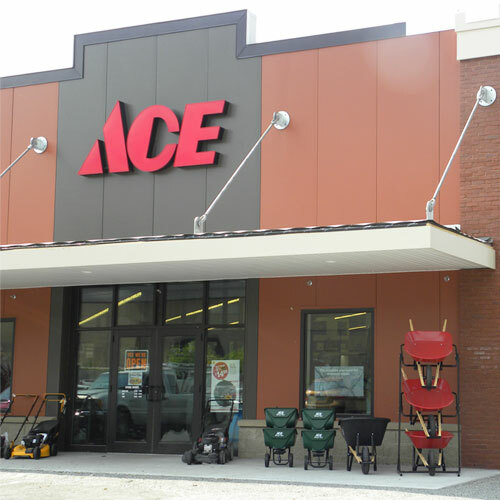 Shop Ace to find electric heaters, portable heaters, and outdoor-rated models to stay toasty wherever you go. To keep warm in bedrooms, living rooms, or other spaces around the home, buy ceramic electric heaters. Look for room heaters that include remote controls, built-in timers, and many heat levels for optimal comfort all day. For warmth in small garages, shop for a radiant heat small space heater. These small but powerful machines provide plenty of heat to keep you comfortable. When it's cold outside, you can count on a space heater from Ace to ensure everyone stays warm. Heavy-duty patio heaters keep your deck, patio, or other gathering area warm year-round, while small tabletop heaters can be moved around to provide the perfect warmth wherever you go. For the coldest outdoor spaces, shop for forced kerosene heaters. These can provide up to 125,000 BTU to heat up to 3,100 square feet, providing incredible comfort while you spend hours in chilly weather. Shop Ace Hardware today to find a variety of electric heaters, kerosene heaters, portable heaters, and even fireplaces and stoves to match your style.